the goold ole days…being a teen…in love…. Meet James and Kiley. Two of my fav peeps ever. They are both seniors and just great people to have around. This was his senior shoot and we added a few of them together! ARent they just adorable. This is a new spot we found and I LOOOOOVEE it, You will defiantly see more of it soon! Yes. he is quite a cutie! One of the nicest, well adjusted and respectful guys I know. 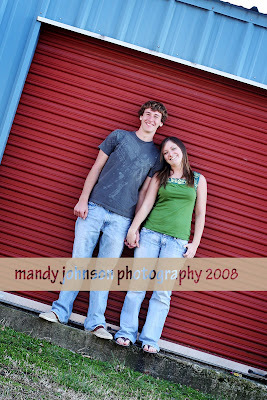 I am now accepting appts for 2009 Seniors. I am planning some new products just for Seniors!